The Bridgestone World Solar Challenge took place at the beginning of October, and the achieved result for the Belgian Team has been outstanding. Not only by the Punch Powertrain Solar Team’s fantastic 3rd place in the Challenger Class, but also by the very successful daily live talk-show that was jointly produced in the absolute middle of nowhere. 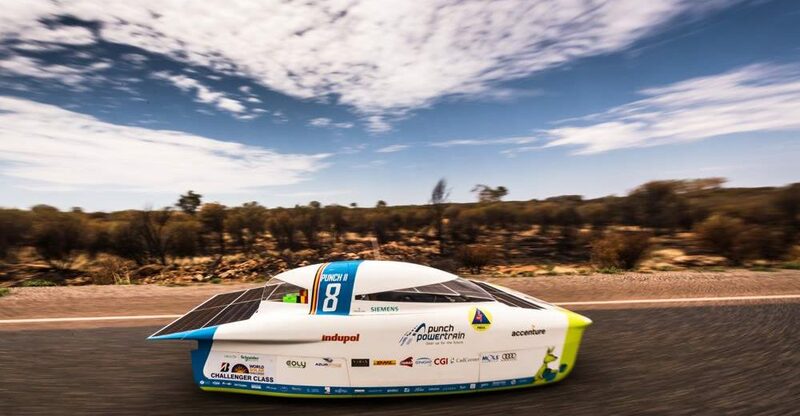 Over five days, the carefully crafted Belgian solar car made its way across 3,021 kilometers of Australian outback, negotiating traffic lights and road trains, and enduring challenging temperatures and wind gusts, while successfully harnessing solar power to maintain an impressive average speed of 76.2 km/h throughout the race.